Fortunately the winter ran out before the wood, but it was close! What little wood remains seems silly to stack for next year. “When it comes to exploring the shadowy history of how 17th-century furniture was built, few people have been as dogged and persistent as Jennie Alexander and Peter Follansbee. Tools needed: Froe and Maul. 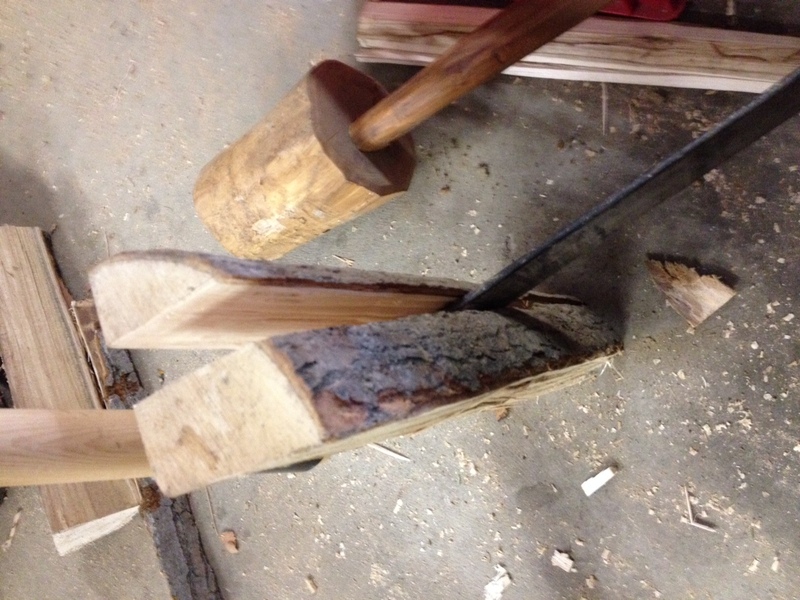 The maul is made from Dog wood about as hard a s it gets – it’s 50% harder than hard maple. step 1 split the billets into leg size pieces and plane square.